Allergies are one of the most common causes of skin conditions such as hives and eczema. If you’ve been diagnosed with an allergic skin condition, it’s important to dig a little deeper and figure out exactly what you’re allergic to. Even if your case seems black and white, getting more information on your allergies can make your condition easier to treat. 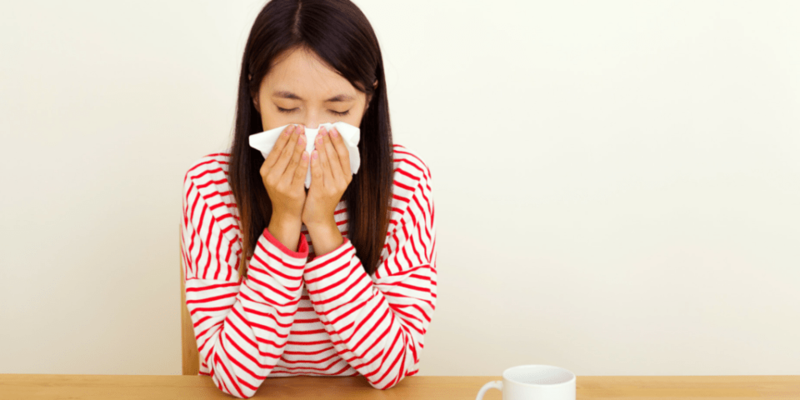 Though they may seem simple, most allergies are more complicated than people think. The most common example of this is when people assume that they’re only allergic to one thing. This seems right – if you touch or breathe a certain thing and then develop symptoms, it’s natural to assume that that thing the cause. In most cases, though, that’s not actually the full story. Most allergic people are sensitive to many different allergens, which all work together to cause a reaction. Picture your allergies as an empty water glass. Whenever you come into contact with one of your allergens, the glass fills up a little bit. In this analogy, you wouldn’t actually develop symptoms until the glass overflows. In fact, you could walk around all day with the glass filled to the brim and still not have a reaction! Once you add just a little more allergen to the mix, though, the glass will spill over and cause symptoms. To illustrate this, let’s imagine a kid with allergies named Arthur. Arthur has mild sensitivities to dust mites, pollen and cats. One of these allergens alone won’t “fill the glass,” but when the three combine they can push his allergic reaction over the top. Imagine that Arthur decides to visit his Aunt Ruth, who owns two cats. The cat allergy alone won’t push his allergies over the edge, so there is nothing for him to worry about. However, Arthur gets additional exposure to allergens when he takes a nap on his Aunt’s couch, which has dust mites in it. This fills his glass the rest of the way, meaning any more allergen exposure will cause a reaction. Finally, Arthur step outs onto his Aunt’s porch for some fresh air. The pollen in the spring air causes his allergen level to overflow, which makes symptoms like rashes and hay fever appear. Arthur may know all of his allergens, but he may not connect the dots to all the sources at his Aunt’s house. Like many of us, he probably noticed the rash was allergy related, but didn’t understand the entire process. When experiencing a reaction to a new substance – especially skin-related reactions – it is easy to notice the reaction’s immediate cause. However, it’s a mistake to not dig deeper. As the Arthur’s example shows, allergies symptoms are almost always the result of several allergens working together. For Arthur, keeping his allergies below the “spillover” point might be as simple as avoiding cats during pollen season. If Arthur didn’t know all his allergens, he might think that pollen alone was causing his symptoms, which would make it much harder to get relief. If you want to learn more about how you can identify your allergens and reduce your symptoms, check out the link below!